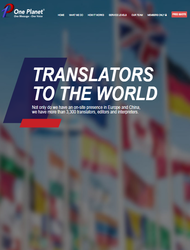 There is an impressive list of translation agencies around, yet all of them have to be evaluated and judged according to the five criteria – accuracy, speed, pricing, customer satisfaction, and certified translations. Based on those five the list of Best of the best comes out. 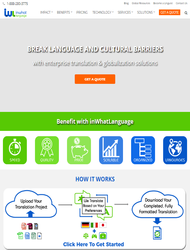 Take a look at the best translation services that performs lustrous results. We all know that rush one get when the due date is right around the corner and there is still plenty of work to be done. There, usually, occurs enough questions on: whether to rely on a service; should I trust them; would I get my order on time? We made a list of Top-5 places that do professional translations in the fastest possible. In times of professional cooperations, there is nothing as important as the accuracy and quality of the provided work for valuable results. It requires even more accuracy when the translation relate to health, safety or the law. We took some time to create a list of the 5 most trusted resources according to their translation accuracy. It might take years for a translating company to earn its name based on customers` feedback and the work they have done. Thus, it is highly important to be acquainted with the reviews and testimonials from real clients who were whether satisfied or dissatisfied by the given services. 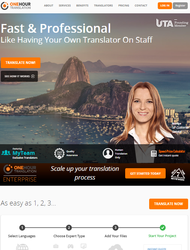 Check the Top-5 translation services with a high rating. Clients can be picky and that is their right. As well, they might want a lower price and higher quality (almost all of the time). How to be sure you find that magical balance in between? Take a look at Top-5 translation companies that propose customers the best price throughout the year. When it comes to legal papers, adoption or travel documents, immigration papers or other items that require certification, a person should be highly noted about the level and quality of the translation a service would perform. We took some time to create a list of services that meet several important criteria. Welcome to IsAccurate, a website that has been designed to provide consumers of translation services with factual and objective reviews of what we believe to be the best agencies. To achieve our objective of identifying the best companies, our translation reviews have focused on five critical criteria that we believe constitute the best practices of a professional translation service. Once we subjected each service to the five criteria, we were able to identify the 10 services that achieved the highest scores and are featuring those on this site. Each of these 10 services was ranked from 1 to 10 on each of the five pre-determined criteria. A chart showing these ratings appears on this site. Here is a list of the five criteria we have used, and a brief explanation of why they are important. Pricing: Translation services rates can vary significantly, depending upon the documents and the urgency of the deadline. We were looking for reasonable pricing that represented a good balance between value to the consumer and the need to retain expert translators. Speed: Fast translation services matter when customers have urgent deadlines. We determined an agency’s ability to meet these criteria by customer feedback and our own experience. Translation Accuracy: Many documents demand absolute accuracy in translation in order to avoid any misunderstandings or legal issues. 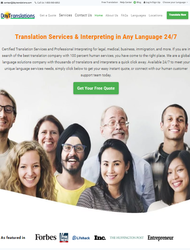 We identified the most accurate translation website based on customer reviews and our own order of a legal document. Customer Satisfaction: We searched for feedback and comments from customers throughout the web and openly solicited reviews. Ratings were based on the content of that feedback. Certified Translation: Companies that use translators with the required and recommended certifications tend to have the best document translation services overall. It should be noted that while some translation tasks do not require certifications, many do. We established a scoring system as we compared the top 10 services, and, based upon the cumulative score, ultimately identified the best translation site and ranked the others in order. We hope this will provide you with the most accurate overview of translation agencies so that you may a much more informed choice when you need such services.